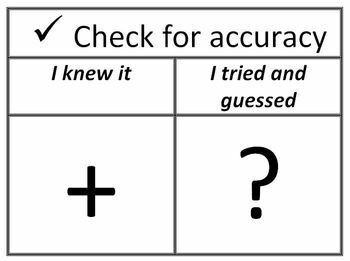 Use this poster and attached notes to teach students how to self-assess. When students work on their assignments daily, have them practice writing a + or ? next to each problem so they begin to self assess their work daily. During a test, attach the self assessment notes to their test. 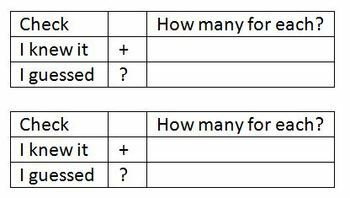 When students finish their test, ask them to go back and check each problem and to mark + or ?. They count of how many + and ? and write the total on note. You can use student feedback as a formative assessment for teaching and learning.